Lightly toasting nuts will bring out their flavor and, in the case of walnuts, help to loosen their bitter skins for easily removing as much as you can. 1. 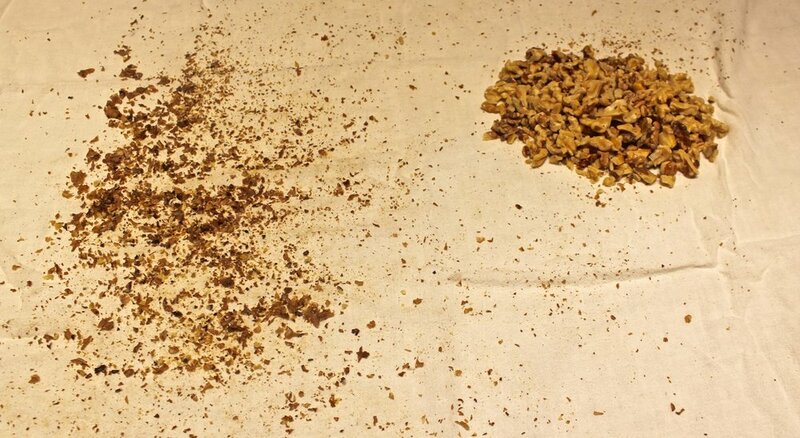 After toasting the walnuts, turn the walnuts onto a dish towel. 2. Roll and rub them around to loosen the skins. 3. As you coarsely break the nuts, discard any loose skins. 4. use your finger tips, tip of a knife, or tip of a wooden skewer to pick off as much of the attached skins as possible. 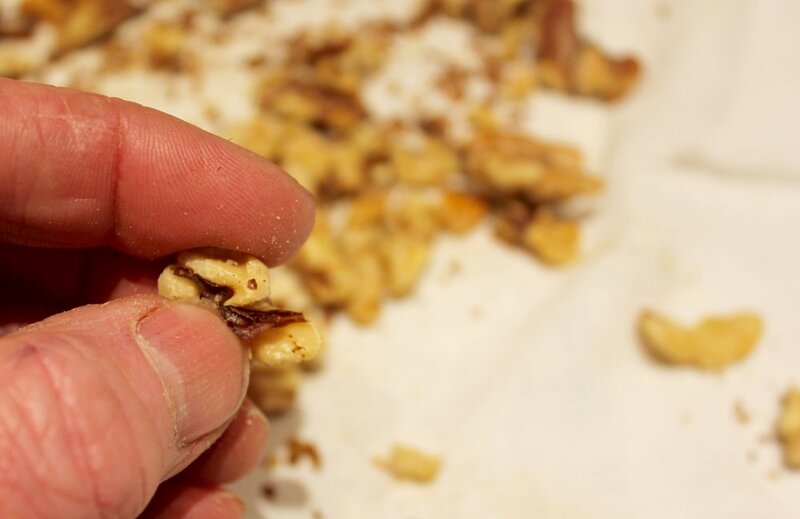 Toasting and removing most of the skins and tiny specks of walnuts for 100 grams of walnuts can remove around 5 grams as shown below.